Welcome to Weekend Watch, a recurring feature where we highlight some of the best geek-related videos around the web. Whether it’s short films, behind the scenes videos, video essays, or top 10 countdowns, the only requirement is that they are about–in some shape or form–our favorite geeky topics! 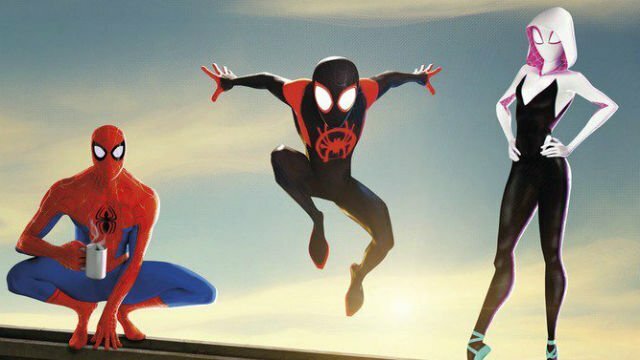 In this super-sized edition of Weekend Watch, were taking a look at all things related to the Spider-Verse for the upcoming film Spider-Man: Into the Spider-Verse. Although the film is loosely based on the comic book crossover event of the same name, we’re taking a look at the origins and history of the Spider-Verse. Additionally, we’ll be examining the origins of some of the movie’s most important characters, including Miles Morales, Spider-Gwen, Peni Parker, Spider-Ham, Spider-Man Noir and Spider-Man 2099 for good measure. To close things out, we’ll be taking a look at 10 insane alternate versions of the Spider-Man. So without further adieu, let’s jump right into the origins and history of the Spider-Verse! First up, we have a great video from Marvel that asks the question – what is the Spider-Verse? In a slightly spoiler-y edition of Marvels’ Too Long; Didn’t Read series, this video breaks down the basic concept of the Spider-Verse storyline in about 5 minutes. If you aren’t familiar with the 2014 comic run or are just looking for a quick refresher, this video does a great job of making the complex nature of the Spider-Verse a bit more palatable. Next, we have a video from Comics Explained that takes a look at the origin of Miles Morales (a.k.a. Ultimate Spider-Man.) Co-created in 2011 by writer Brian Michael Bendis, Miles was conceived as a way to shake things up by putting someone new in Peter’s role. Miles is a very important character for several reasons, but he’s also a re-contextualization of Spider-Man for the modern day. Peter Parker has always been a role model for readers of all ages, and Miles has the ability to do the same – just in a different way. Into the Spider-Verse marks Miles’ big screen debut, so naturally this is the character’s chance to make an impression on a new generation of Spider-Man fans. This video by Variant Comics delves into the history of Spider-Gwen (a.k.a. Ghost-Spider or Spider-Woman), one of the more prominent characters in the upcoming film. Along with providing a good recap of Spider-Gwen’s origin, the video also goes over the various runs of the character. In the four short years since Earth-65’s Spider-Gwen was introduced, she has skyrocketed in popularity; which will probably be increased twofold after the film’s release. Based on what we’ve seen from the movie so far, Into the Spider-Verse seems to be sticking pretty closely to Spider-Gwen’s origin from the comics. This short but sweet video from Nerdgasm takes a look into the origins of Peni Parker and her SP//DR robot/mech. It is unclear how much the film will stick to Peni’s origins on Earth-14512. With that said, it’s safe to assume that she’ll play a pretty crucial role in the plot of the movie. It’s also good to see one of the manga-inspired interpretations of Spider-Man is finally getting their due on the big screen. In another video from Variant, they take some time to look at the surprisingly deep history of Spider-Ham (a.k.a. Peter Porker.) Spider-Ham is a bit of an obscure version of the many spider-people, but he’s also one of the silliest. Conceived all the way back in 1983, the character was intended to be a parody of Marvel’s signature hero. The character is literally a cartoonish, pun-filled take on the Spider-Man mythos. As a result, Spider-Ham is sure to be a fan favorite after his big screen debut in Into the Spider-Verse. Yet another origin video by Variant takes a look into the origin of Spider-Man Noir. Set during the great depression in 1933, this version of Peter Parker was bitten by a venomous spider that was illegally brought into the city. The bite gave him super-human abilities, which he used to fight a one-man war against the city’s major crime-lord – Norman Osborn. Spider-Man Noir is both a literal and figurative “dark take” on the Spider-Man mythos. Ironically, Nicholas Cage is set to voice the character in the upcoming movie, which is an inspired choice to say the least. In the final video from none other than Variant, the channel takes a look at the history of Spider-Man 2099 (a.k.a Miguel O’Hara.) Hailing from Earth-928, Miguel was introduced all the way back in 1992 and eventually got his first solo run six years later. Aside from being the first Latino character to assume the identity of a Spider-Man, he is also a brilliant geneticist. Although it remains to be seen if Spider-Man 2099 will make an appearance in the film, it seems kind of like a no-brainer considering his relevancy to the source material. Rounding out this edition of Weekend Watch, we have a great Top 10 video from WhatCulture Comics that breaks down some other alternate versions of Spider-Man. Although a few of the picks are a bit predictable, it does give those who are unaware of these alternate versions some exposure to them. If Into the Spider-Verse is a success, we can expect to see even more of these obscure versions of Spider-Man in the future. Who’s your favorite alternate version of Spider-Man? Let us know in the comment section below!